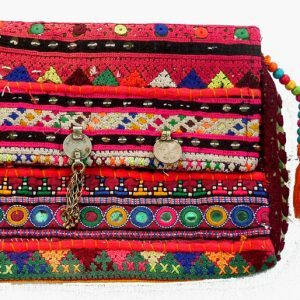 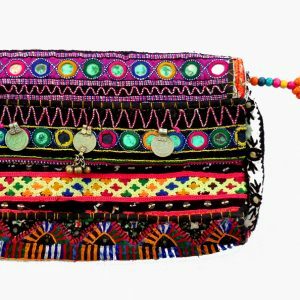 This Handmade Banjara Tribal clutch bag is made from Old Vintage Textile with Mirror & Tassels. 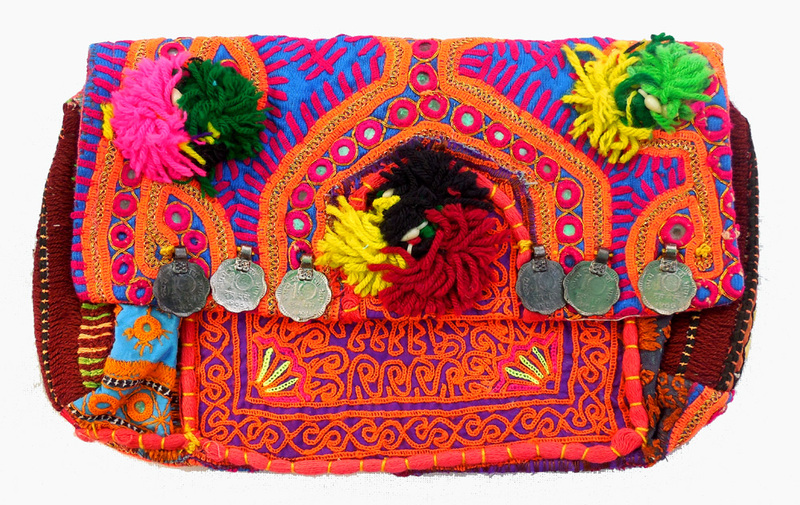 An over sized envelope-shaped bag made of patchwork of antique hand-embroidered cotton textiles, with mirror, pom pom, beaded tassel and metal coins. 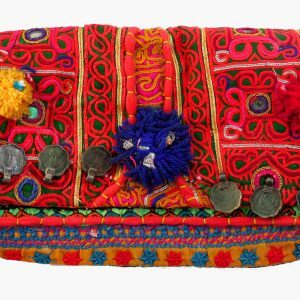 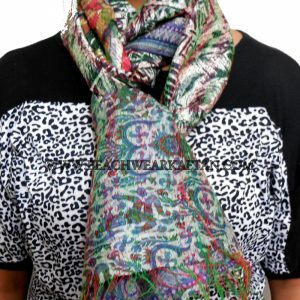 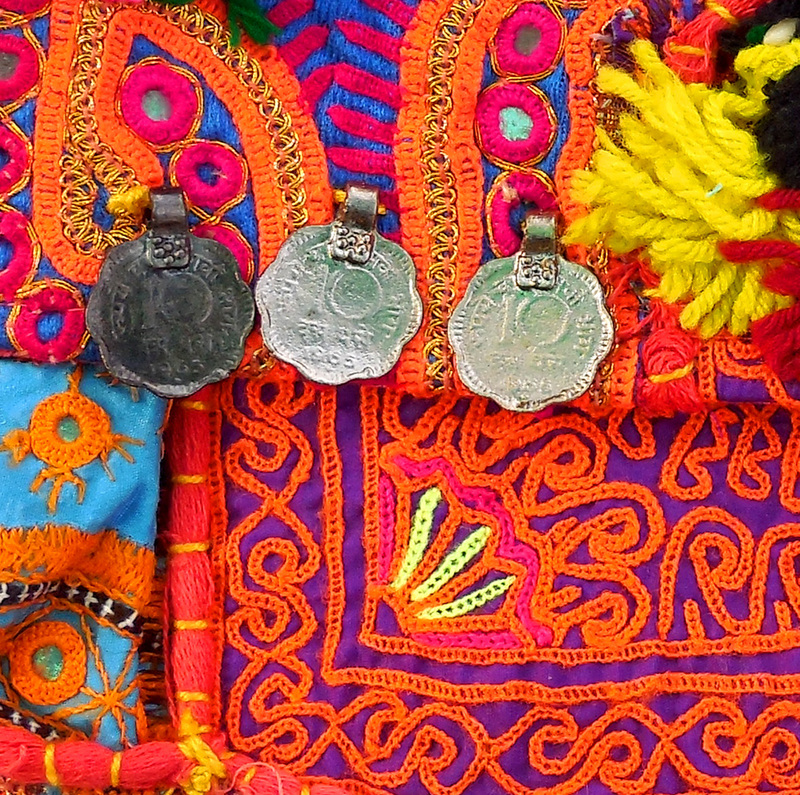 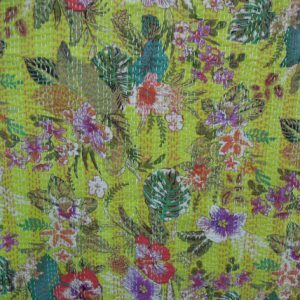 The fabric is antique textiles from Gujarat and Rajasthan that patch worked together and decorated by talented artisans.